Every case calls for a detailed study of the patient individually. There are no disease-specific medicines in homeopathy. The exact treatment is determined only on "in-depth" evaluation of the individual case. The medicines described below are commonly indicated in Eczema, only for the purpose of information. The readers are advised not to indulge in any kind of self-medication. It is one of the splendid acts of homeopathy that substances labeled as inert can also be used efficiently to treat a large variety of disorders. Silicea is the example of one such substance, which is chemically inert in its natural form, but after undergoing the process of potentization it gets transformed into a wonderful, deep acting remedy. Silicea is in a true sense called as polychrest remedy as it has a broad spectrum of action, useful for a wide range of disease processes. In fact, this remedy has helped. Homoeopaths world over to treat so-called surgical conditions gently without requiring a knife. Silicea positively influences bones and joints, mucous membranes, skin, cellular tissue, nerves, glands, lungs, digestive system, etc. Silicea is one of the frequently used medicines for complaints of eczema, styes, chalazion, vitiligo, lichen planus, herpes, urticaria, asthmatic bronchitis, pneumonia, tuberculosis, trigeminal neuralgia, complaints of nails, tonsillitis, etc. Patients requiring silica usually have a tendency to easy suppuration of skin injuries. Silicea positively influences nutrition as well and hence its one of the prominent remedies used for rickets in children. Graphites positively influence the skin, nutrition, circulation, gastrointestinal organs, reproductive system, glandular tissues, mind, etc. Moist eruptions cracked skin that bleeds easily, crusting of eruptions, eczema in folds of skin and on the palms. Oozing of a sticky discharge from the eruptions is a characteristic feature of this drug. This drug is prepared from crude rock oil. After potentization, this is transformed into a remedy that is used for the treatment of a number of conditions. Petroleum positively influences the skin, mucous membranes, general nutrition, female reproductive system, and the gastrointestinal system. It's frequently used in the treatment of eczema, gastritis, traveling sickness, menstrual complaints, etc. Its commonly indicated for eczema where the skin becomes dry, rough, thickened and cracked. There is intense itching and the complaints are mostly worse in winter. Lycopodium is one of the wonderful remedies in Homoeopathy and it is prepared from the club moss (fungus). After undergoing the process of potentization the hidden curative powers of this fungus are brought to the surface and it is transformed into a deep acting homeopathic remedy. 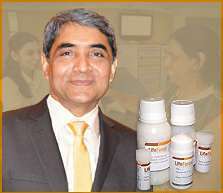 Lycopodium is one of the commonly prescribed remedies for complaints of the gastrointestinal organs, reproductive organs, urinary complaints, skin, and respiratory disorders. Its frequently prescribed for chronic eczemas where the skin becomes excessively dry and raw from itching. Thick and indurated skin due to eczema. Offensive secretions, fissured eruptions, and violent itching are a few of its common indications. The complaints are worse from the warmth and better by cold applications. *The head is covered with a thick, leather-like crust, under which thick and white pus collects here and there, and the hair is glued together. *The scabs on the head look chalky and extend to the eyebrow and to the nape of the neck. *Roughness of the skin, with desquamation here and there. *Intolerable itching; worse by a warm bath.